To commence the second annual TSLL French Week, we have partnered with a family owned company who works with quality textiles from France. 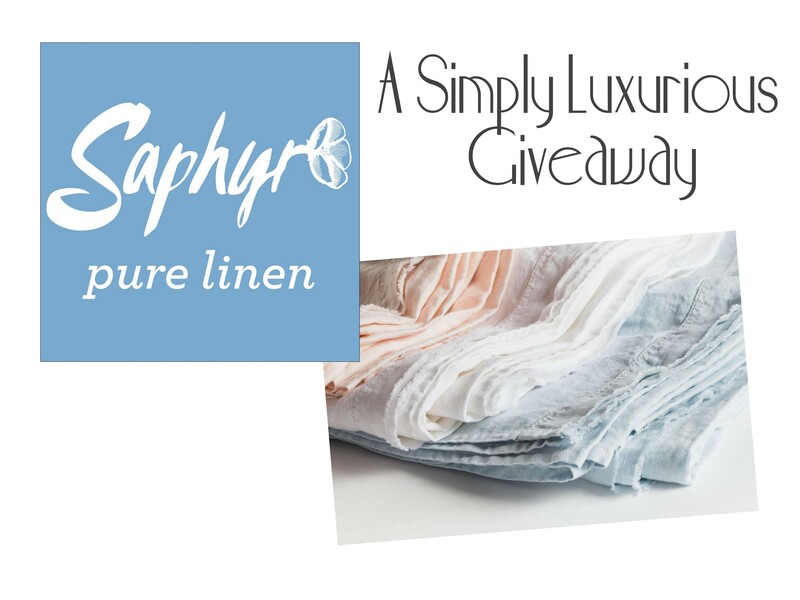 Saphyr Pure Linen is a new home fashion brand dedicated to offering natural pure fabrics. During these warm summer months, I can think of nothing more lovely and luxurious than sleeping atop and underneath linen sheets, can you? Founded by matriarch Rory O’Mara and her two daughters, Genevieve and Rosemary, soft washed pure French linen fabric is used to beckon you to a sweet slumber. Learn more about the company and shop the entire collection here. But before you shop, you will want to enter TSLL’s giveaway. 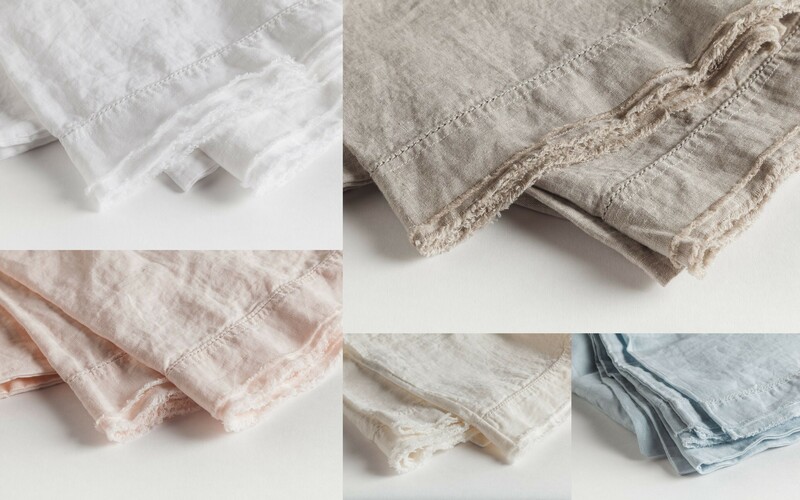 A lucky winner will win a pair of linen pillow cases (a $69 value), the color of your choosing (see colors below). And while there can only be one winner, simply by entering (be sure to share your email address), you will be placed on their mailing list to receive an exclusive promo code for your first visit. The giveaway will conclude on Saturday at noon (August 12th), and the winner will be announced on Sunday, August 13th – here on the blog, so be sure to enter today and tell anyone you know who appreciates quality fabrics. If your avatar doesn’t include your email, please include your email as well. This will be how we will reach you if you win and how you will receive the promo code. ~View all of the posts from TSLL’s 2016 French Week here. Look forward to seeing you in New Orleans for your second book launch! Sandy, I have such fond memories of my trip to New Orleans and have already mentioned to my love and I cannot wait to return and explore the city with him. 🙂 Thank you for stopping by this morning. These pillowcases would be perfect here in Beaune France! LOVE sleeping in linen sheets! I am tickled to have the opportunity to work and introduce Saphyr to TSLL readers. 🙂 A lovely family with. Beautiful, quality product. They look amazing!!! I would want a set in every color!! love to try this summer, looks perfect for Queensland! A lovely way to begin la semaine française! Gina. Thank you for inspiring me to continue my own TSLL! Wow, those look just amazing! What a wonderful gift. I’ve never slept on linen before and I would love to try it. And merci for the giveaway, Shannon! Can’t wait for the 2nd day of this French week! Beautiful, what a thoughtful gift! Soon it will be warm weather where I’m at down under, so it will be perfect. Thank you! Suzi — Looking forward to French Week! I have been using linen sheets and pillowcases for years – the vintage ones can be hard to find, and quite expensive. I sometimes find old linen tea towels or bathing towels and have them sewn into pillowcases – often I ‘mix and match’ the linen so that each pillow is a variety unto itself! Each morning I look forward to your messages. They spur me on; your positive, kind thoughts inspire. Don’t stop! Teresa, you are very kind. 🙂 Thank you for stopping by. Looking forward to French week! Thank you, Shannon. What gorgeous sheets. I’m so looking forward to your French Week. 🙂 Per your recommendation, I’ve read A Paris All Your Own (loved it!) and am currently reading Cooking for Picasso by Camille Aubray, and am thoroughly enjoying it. Thank you. 🙂 Have a lovely week! Thank you for bringing to my attention Cooking for Picasso! It looks lovely! Would love to check this company out regardless of the giveaway. Nice sheets are a true simple luxury. Thank you for all your work and suggestions every week! Your podcast and blog aren’t something I always look forward to and enjoy and I can only imagine how much time and energy it takes to make something so appreciated by so many! Lovely little luxury to lay your head on and dream. These sheets are so pretty! Would add a lovely touch to our home! These look beautiful and so comfortable! 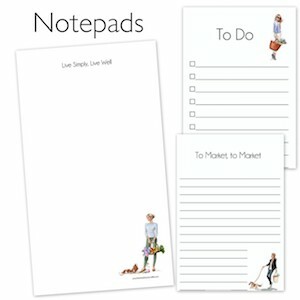 Shannon, I love all your French posts and I am looking forward to see what you add. The linen bedding looks so luxurious! Would love to try. I love reading your blog, seeing your inspiration pictures on Instagram and following the podcast each week. Those look simply luxurious in white. I’m Marnie, and the Saphyr looks divine! Julie, Thank you for tuning in! You will have three episodes to enjoy this week: Monday, Wednesday and Saturday morning. Excited for my first French week! LoVe the Linens! Thank you for the opportunity! Bon Chance! Fingers crossed! These are so beautiful! I love the feel of freshly laundered linen. Lou – I have dreamed of linen sheets! Perhaps the pillow cases will get me started! Bisous! I just love linen!! Such a generous giveaway. When does Book #2 come out? Rory O’Mara sounds French only by way of County Tipperary or thereabouts. Ancient French Celt, perhaps. Anyhoodle, Irish lass here interested in all things French myself. Sign me up for the giveaway, svp. These are lovely. Thanks for the chance to win! Christy – I have been looking forward to La semaine française since the last one! 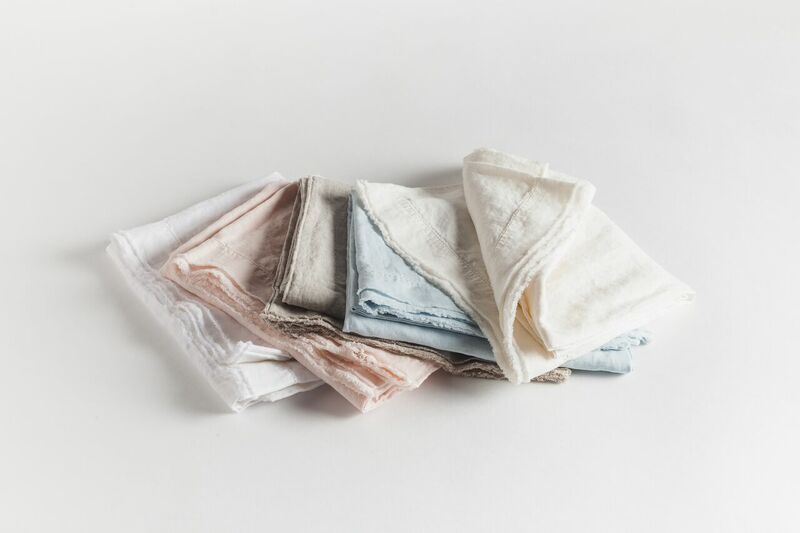 Merci mille fois for the introduction to these beautiful linens and the generous giveaway. From a fellow Francophile, MERCI!!! Welcome back and what a wonderful time you must have had. 🙂 Yes, may TSLL’s French Week offer an ease of transition. How fun Shannon! Fingers crossed. Beautiful! Thanks for this opportunity! What a beautiful giveaway! Thanks! Looking forward to week filled with French treasures! Sooo pretty. Thoroughly enjoy the newsletter each week. I am signing up for the linen pillowcase give away. What beautiful sheets! They would be perfect in our home, a 1930’s cape in rural New Hampshire. I love the photos as well. I love checking into this blog. Thanks for the lifestyle inspiration! Perfect for this hit summer. Thank you for an interesting and thoughtful blog! You are very sweet Margaret. 🙂 Thank you for your time and interest. Hello Amanda. 🙂 Thank you for stopping by and entering. Mimi From Pennsylvania loves the colors., almost as much as your blogs. Danette, you can visit the link in the menu bar of this blog and it will link to everything you might want. Email me if you have any questions. A girl could really sleep well on such beautiful linens! Keeping my fingers crossed! So beautiful! Also, when is your book launch in New Orleans? I live 3 hours north of New Orleans in Alexandria, Louisiana, and would love to try to attend! Great! Thank you. I will be sure to sign up. Love your blog!! Absolutely love and look forward to your podcasts each week. I’ve been contemplating these sheets for a while now. They may be a splurge worth taking! Thank you for the french week, I’m looking forward to it! Yvetta, Thank you for tuning into the podcast. I am so happy to hear you are enjoying it. And the good news with this giveaway is even if you don’t win, you will receive a discount for your first purchase. They will be emailing entrants to this giveaway next week with that information. Thank you for stopping by! Love linen! What a treat! Ooo. Linen is one of my favorite things. 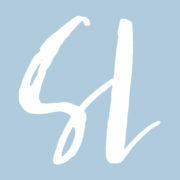 Love linen, love TSLL blog! Luxurious and cool for hot nights in Alabama! Linen sheets. What a positively luxurious idea! You are most welcome! It truly is a lovely gift, our own company once we realize how peaceful a meal alone can be. Lovely, modern and rustic! Looking forward to this week’s blogs! Linen is the perfect example of refined comfort! So excited for the forthcoming French Week on TSLL. These linen sheets are so beautiful, how can one not have sweet dreams when you sleep on them, would be thrilled to win some! Yours is my favorite blog! All things French!!! Thank you for this awesome giveaway! Slowly adding luxury in my home and clearing out the clutter. Your posts and podcasts keep me moving forward! It definitely is a gradually process, but that ultimately is what will lend itself to a more concrete path to quality living. Enjoy the journey! How lovely, great addition to any home. I discovered pure linen sheets about 20 years ago and would not be without them. Especially in hot weather. Pure refreshment! Nice to know of a new source. Wow look at the response! How did you find them.. exquisite! I’ve been so looking forward to this week on your blog! What beautiful linens!!!! I love French week! Thank you for the giveaway! Linen sheets and pillowcases line-dried are pure luxury! A wonderful pair of ideas. Yes! Linen. Love everything about it in Florida. Gorgeous bedding😍 Thanks for the giveaway! Shannon, these are gorgeous! And what yummies you have presented to us thus far…and the week has just begun! French Week, WHEEEEEEE!!!! I’ve been looking for some blush pink linen sheets. These look lovely! How Lovely! I checked t their site and their linens look so soft. Love the look of the beautiful linen!! Pure and simply the best. I’m worth it. Beautiful! Would loves these on my bed! Patricia would love to win. These colors are incredible!! These would be perfect for hot southern nights! Thanks for sharing a lovely new company. So excited to find your blog on French living! Looking forward to the newsletters. I don’t think I have ever slept on linen sheets. These sheets would be wonderful on my bed. très chic ! lovely pillow cases. Also really enjoyed the podcast with Sharon. I live in France and could associate with all that was discussed. Love, love love linen bedding! I have been on the verge of buying linen sheets for years, but the price held me back. I wish I had done this in Provence two years ago. I bought table linens which I LOVE. So one step closer to my dream of sweet dreams on soft linen!!! Absolutely beautiful!! These would make a wonderful gift or such a delight to win one! These look so divine!!!! What a wonderful giveaway! Fantastic tones and texture, so elegant. Always inspiring! Thank you Shannon! Life in linen. Love it! How beautiful linen is and so happy to see it in bedding. Sonya from Fort Worth, Texas! Today’s newsletter really resonated with me. Thanks, as always, for your inspiration. Bon week-end! These are gorgeous. I have never heard of the brand. Thank you for the introduction. They are fairly new and just getting their name out there. Their linens look lovely, I completely agree. I am heartened to see how many people there are like myself, who read your posts FIRST THING in the morning! They are responding from all over, and to me this means your message is very appreciated and needed to frame the day. This makes me happy! These are so beautiful…… can feel the softness of them just looking at them. The colours are so elegant and subtle. I’ve been looking for some new bedding, what a great way to try out linen instead of cotton. These are just gorgeous! Thanks for all of your French inspiration, all of the time! I enjoy receiving your newsletter and viewing your blog. Thanks for making it available to all us and allowing us to keep France in our daily lives………. Beautiful bedding. I absolutely love linen. It’s perfect in its simplicity. 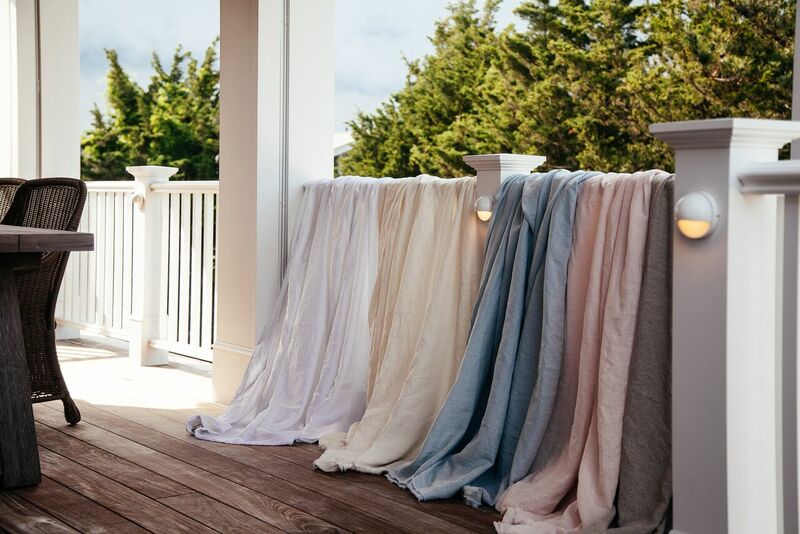 I love linen towels, bedding and dresses. mmm…my linen bedding brand vocabulary is expanding, to which I am so grateful. Thank you for sharing Saphyr with us, Shannon! Les taies arm lent aitrent tres foux et souple et agreable. Rhiannon Perry, what a great giveaway! How exciting! Thank you for the opportunity!! 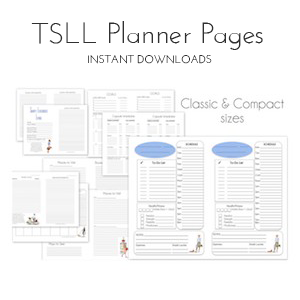 Thank you for this opportunity for your TSLL readers Shannon! Un petit souvenir de la France? Bien sur! Avec plaisir! So beautiful! I love waking up to your newsletter each Friday. What a great way to start my weekend! The linen pillowcases look super soft and the colors are beautiful !!! The pillowcases look super soft and the colors are beautiful !!! I adore French week….and of course all things linen….Merci! Beautiful, love linen bedding – thank you for the giveaway Shannon! I do so enjoy your blog, a favorite in Friday’s. Am enjoying your French focus this month and loving those linens. Linen is better than anything! 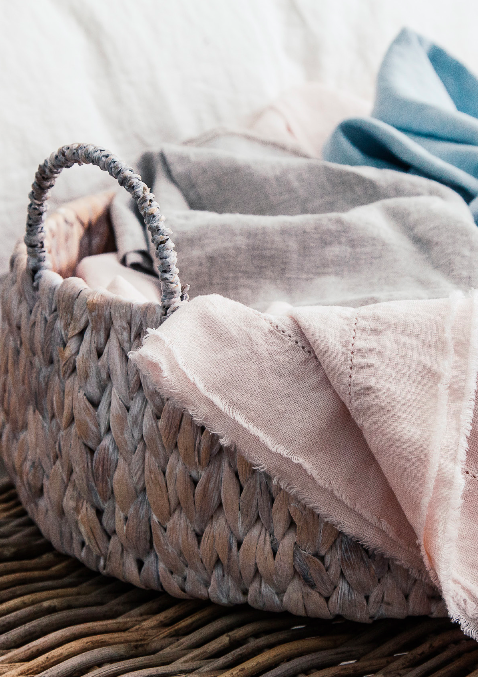 Linen to me is very beautiful, whether it be something to wear or something for the home.